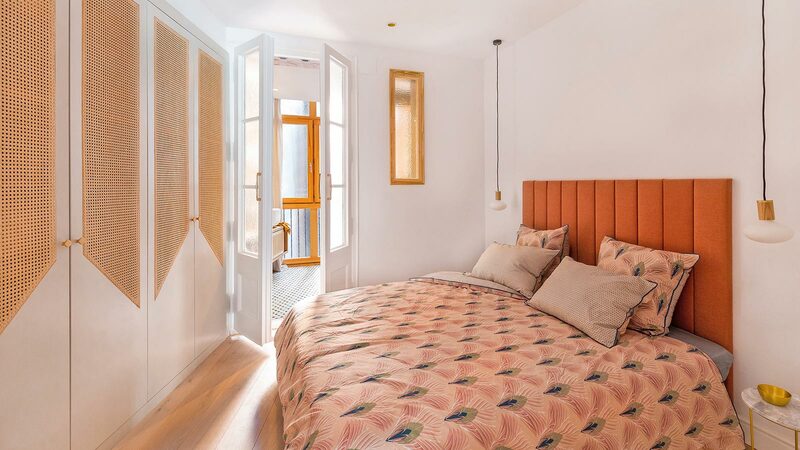 We move to the Eixample to live a luxurious and comfortable stay in the early twentieth century. 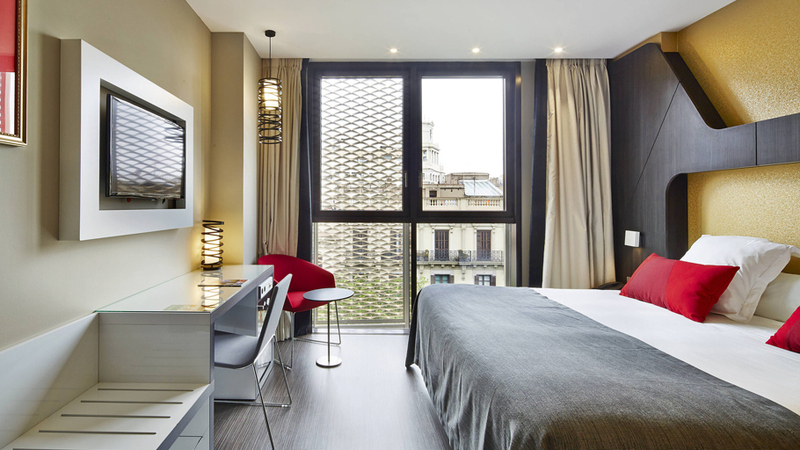 There, in one of the most central areas of Barcelona, is the Vincci Gala Hotel, a restored building with more than 100 years old of history, which gets its name from the surrealist artist Salvador Dalí’s muse. 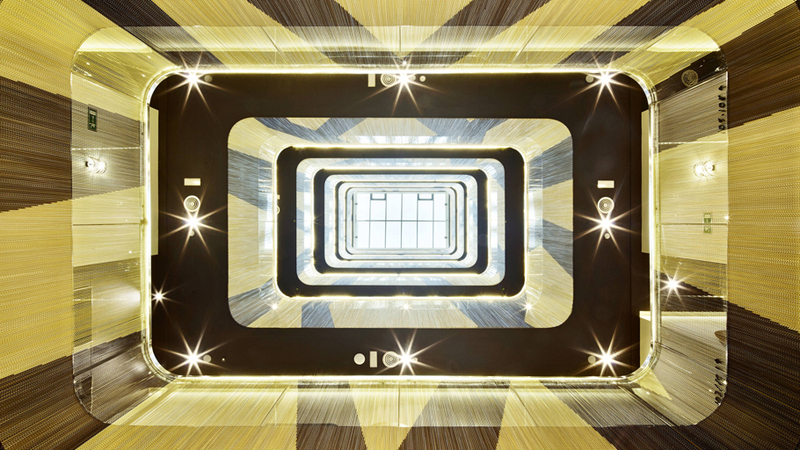 With 4 stars, 78 rooms, a bar, a restaurant, meeting rooms and terraces, the remodelled hotel by the TBI Architecture and Engineering firm represents a total aesthetic revolution. It retains its classical spirit, but demonstrating a spirit marked by the cutting edge graphic design, pictograms, geometry, pop-art and decorative sophistication of the 20s. 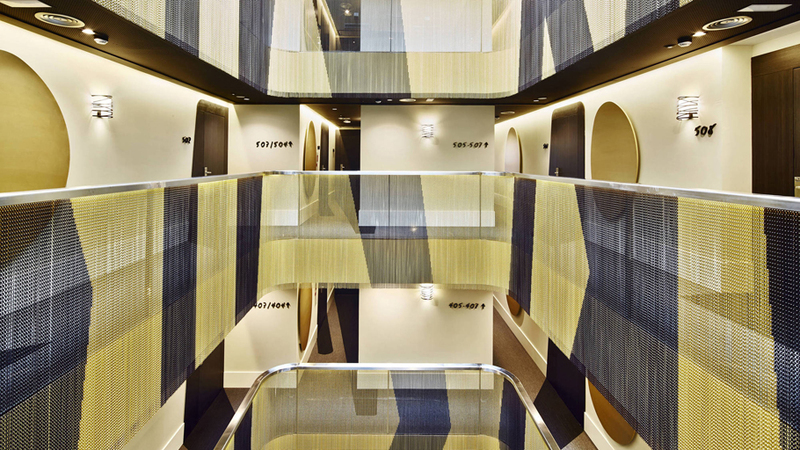 Its facade is as unique as its hydraulic floor tiles and the grand marble staircase. Ultimately, such an innovative and modernist, as harmonious and elegant building. 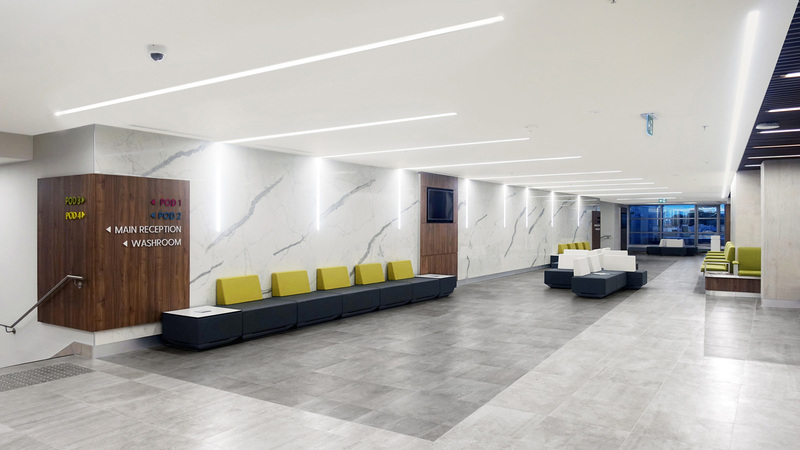 In order to achieve this refurbishment as a tribute to the Catalan modernist style, the TBI Architecture and Engineering firm has used the quality and excellence of products and materials from PORCELANOSA Grupo for the bathroom equipment and its wall tiles. In contrast to the richness of gold, a colour evident in the rooms, the bathrooms in this designer hotel are set around the simplicity and lightness of white in contrast with the sobriety and opulence of black. The chosen collection to equip the sanitaryware has been Acro series from Noken. It is perfect for adaptation in any space due to their small size and aesthetic austerity. 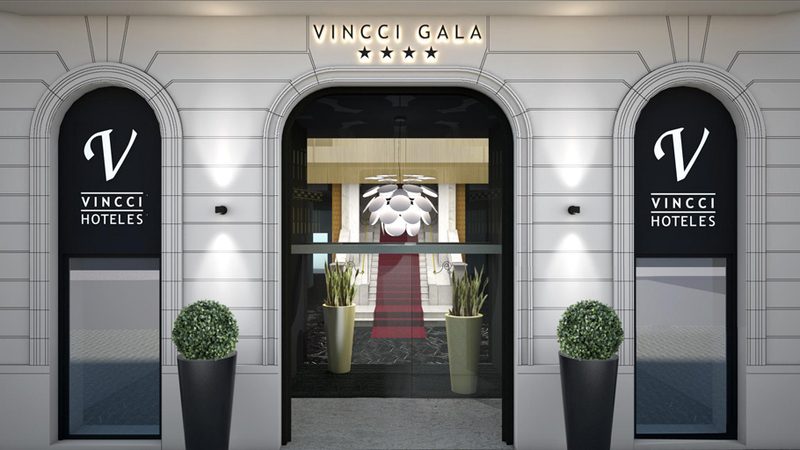 Noken is also represented in the Vincci Gala bathrooms interior design through its bathroom accessories. 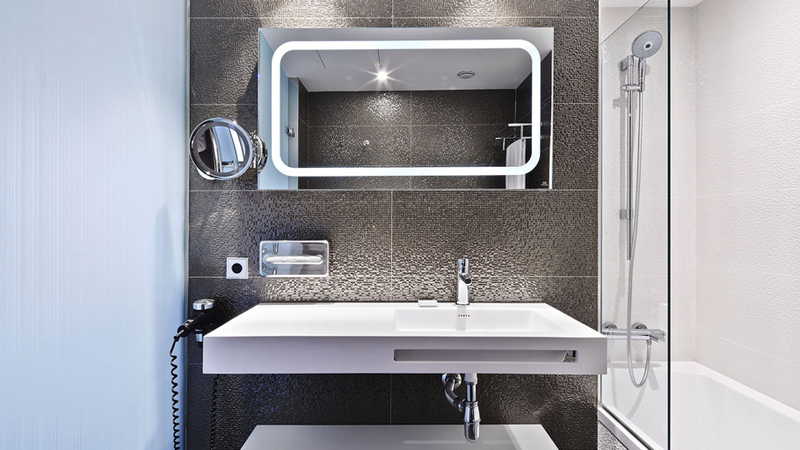 The mirrors stand out for their exclusivity and sustainability, incorporating a unique LED lighting getting unique plays of both light and shadow. For the bathroom wall tiles, the Cubic relief wall tile series, one of the finest series from Venis has been opted for. 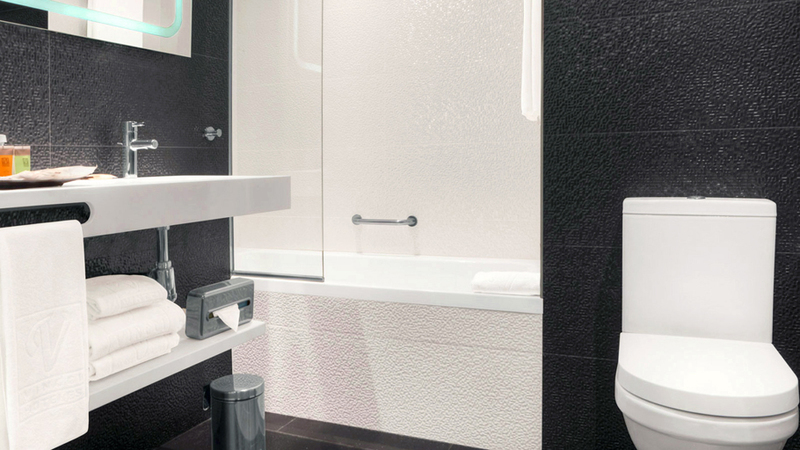 This series has been incorporated into the bathrooms in three versions in a 33×100 cm format: Silver, White and Black, giving the bathroom design both a unique, and innovative finish. 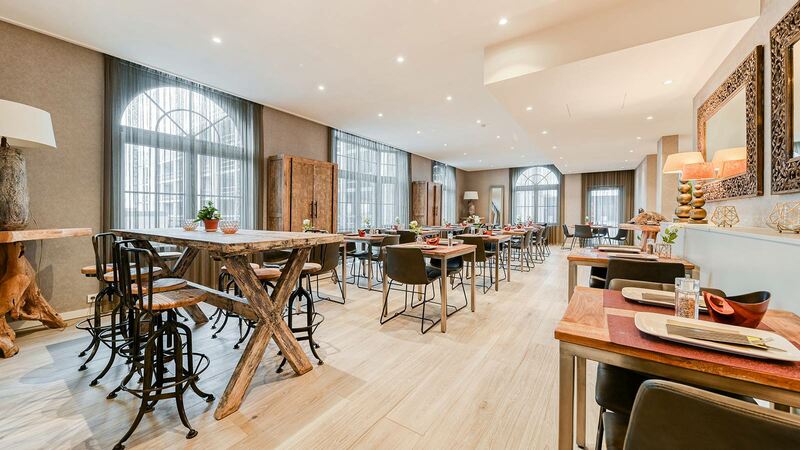 In addition to conferring it an aesthetically unique appearance, the TBI interior designers have materialized the refurbishment of this hotel under the premise of a pleasant stay and maximum comfort for the guest without neglecting the aim of minimizing the impact on the environmental and the overall hotel energy consumption.